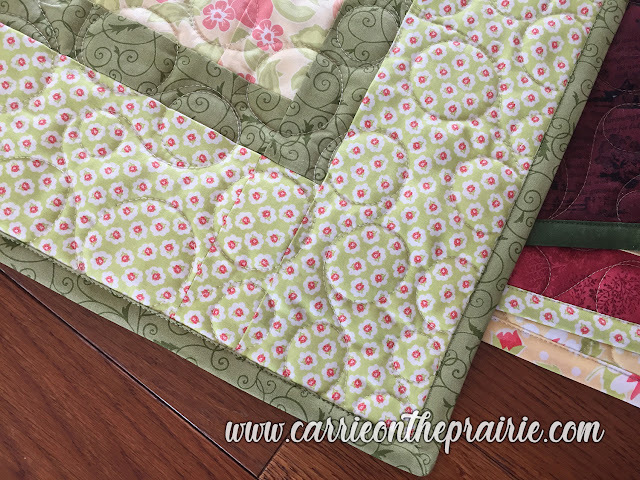 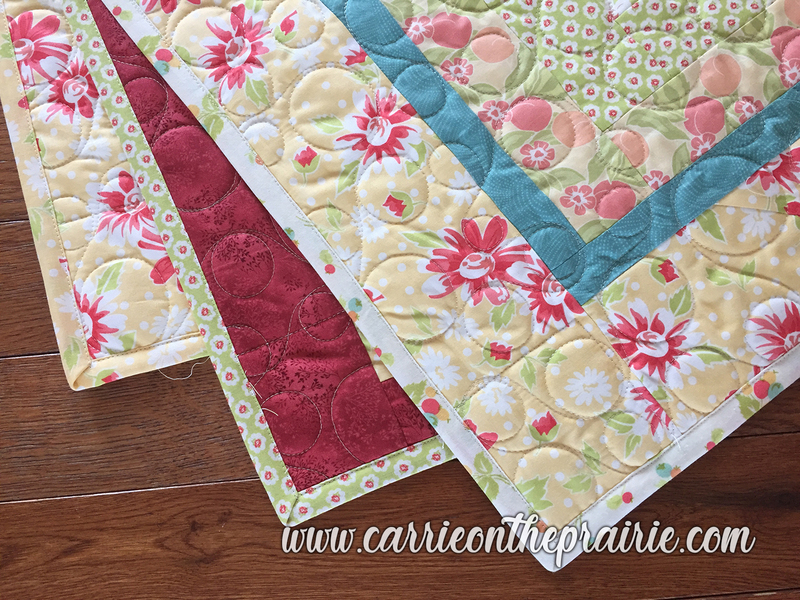 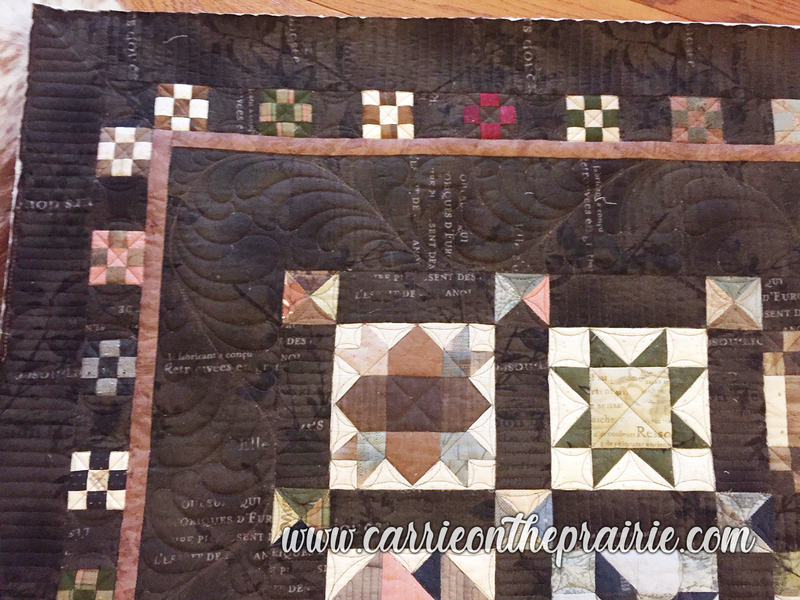 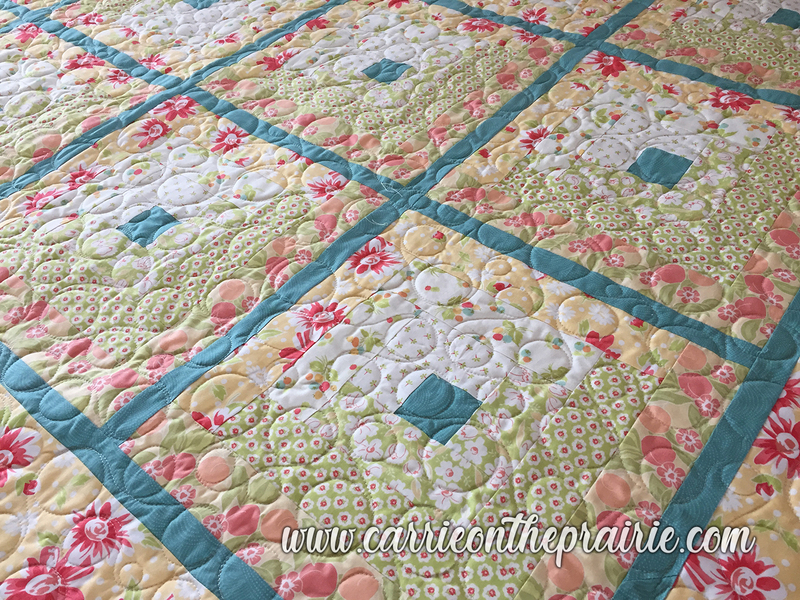 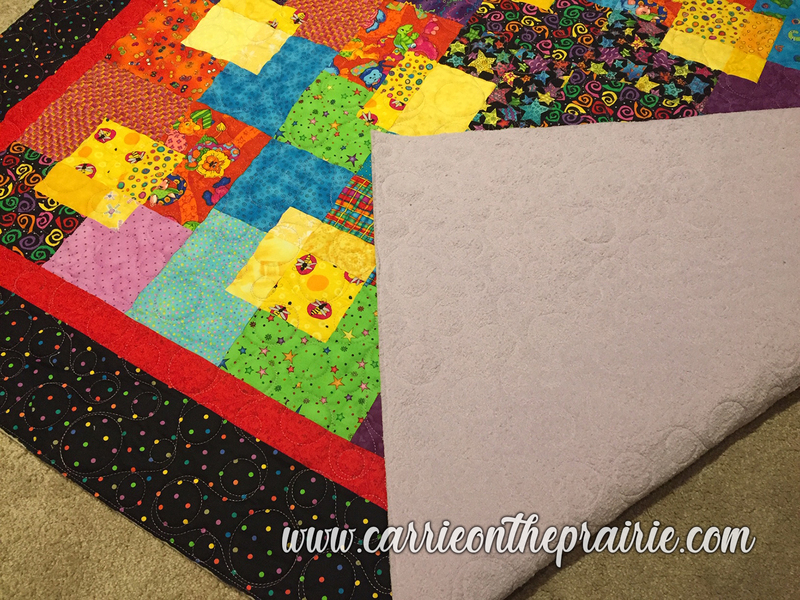 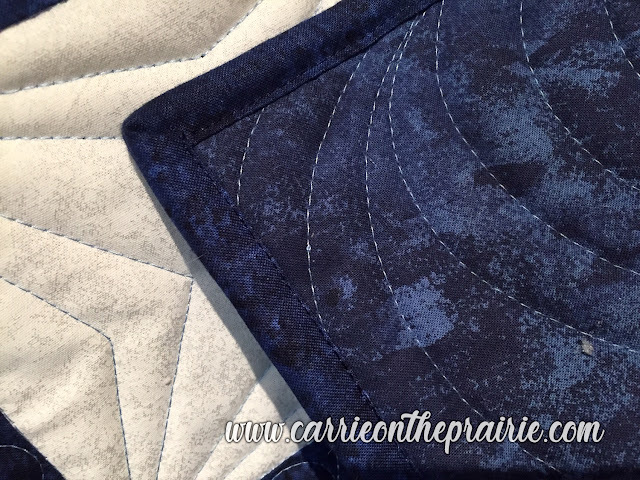 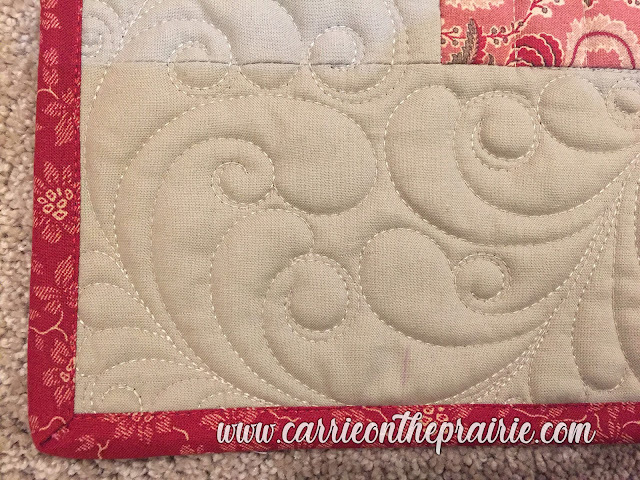 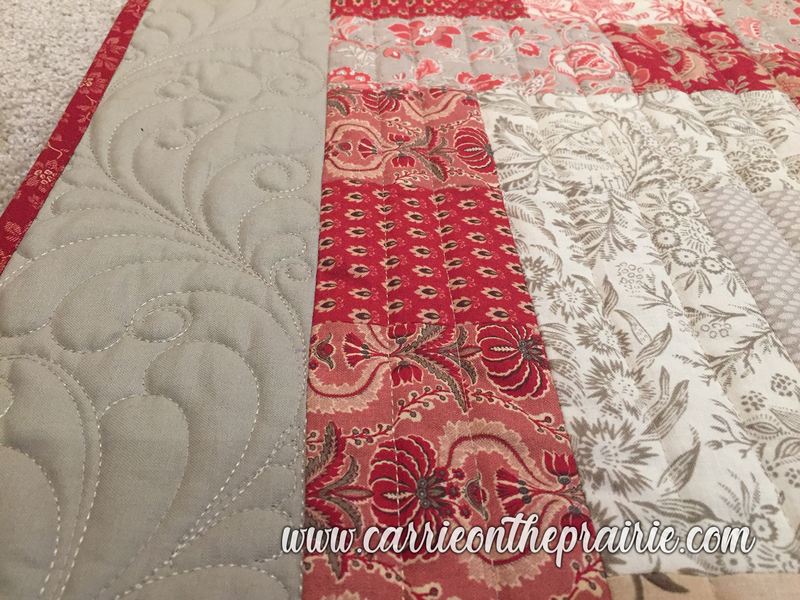 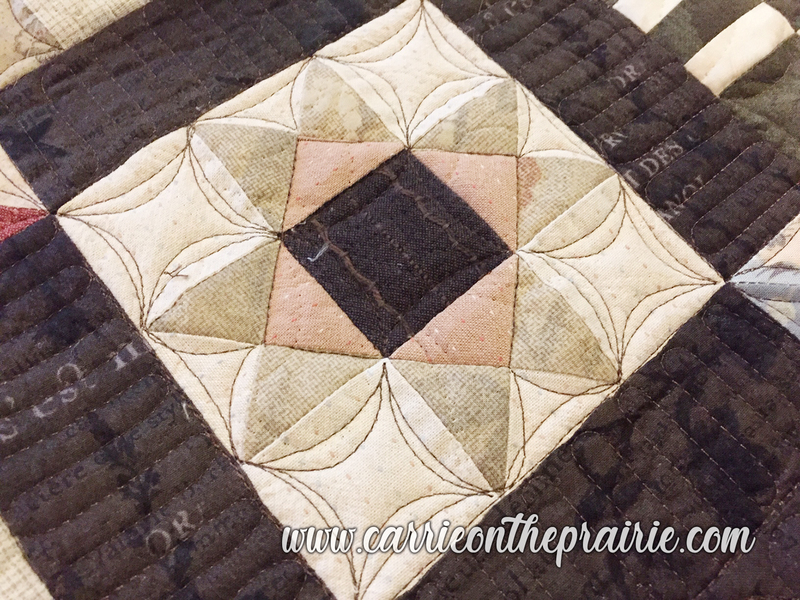 A bit of light custom quilting on this lovely piece. 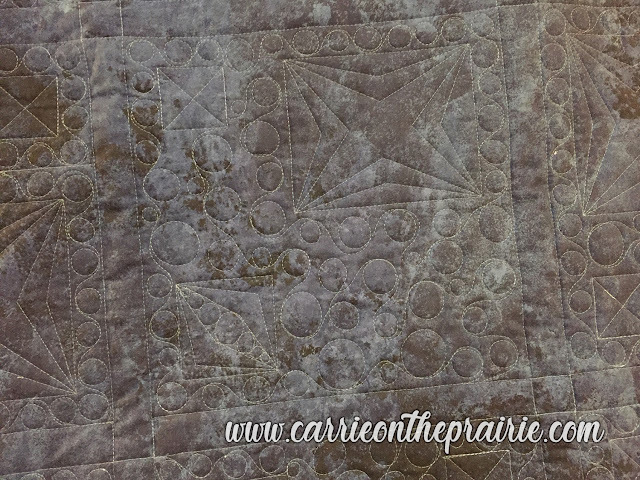 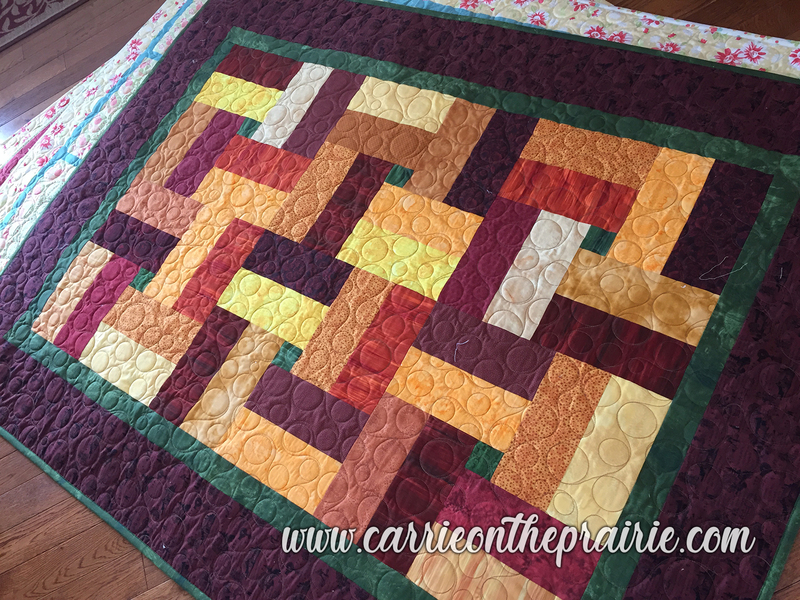 I simple love "orange peel" quilting. 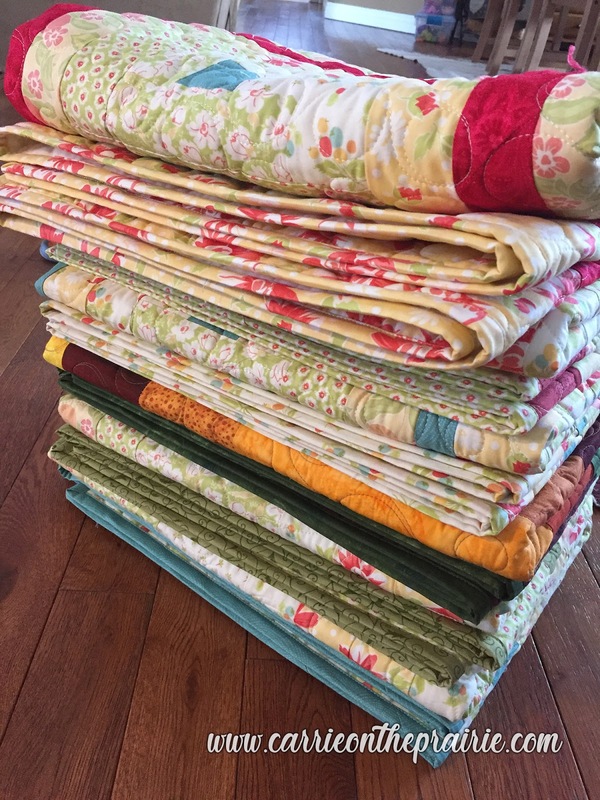 It's so therapeutic! 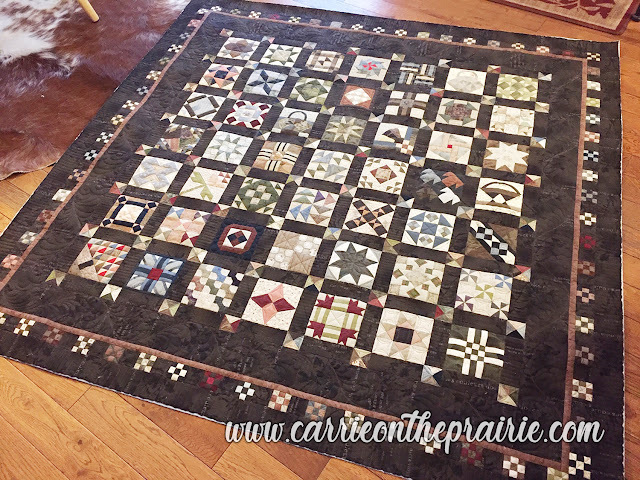 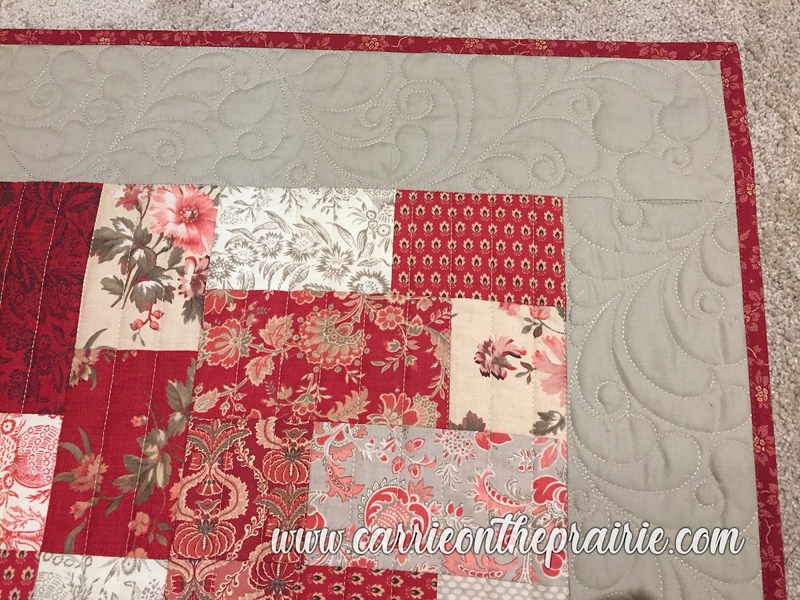 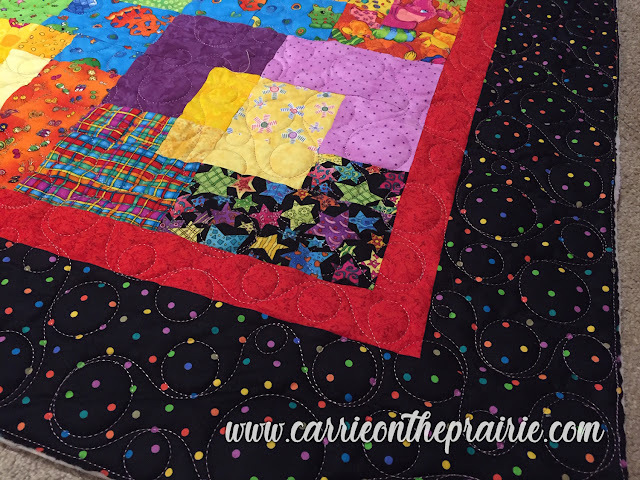 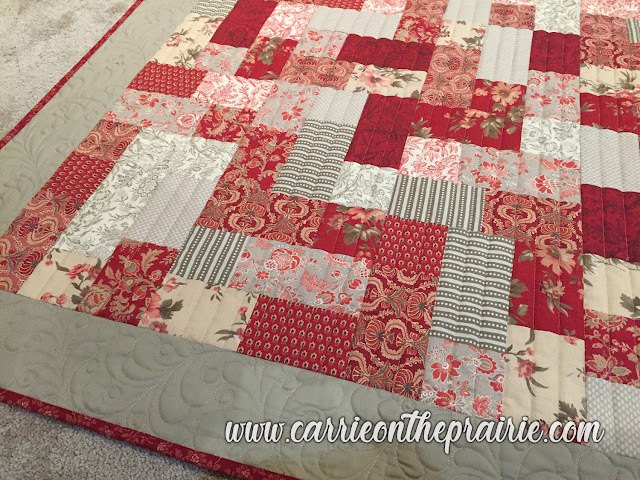 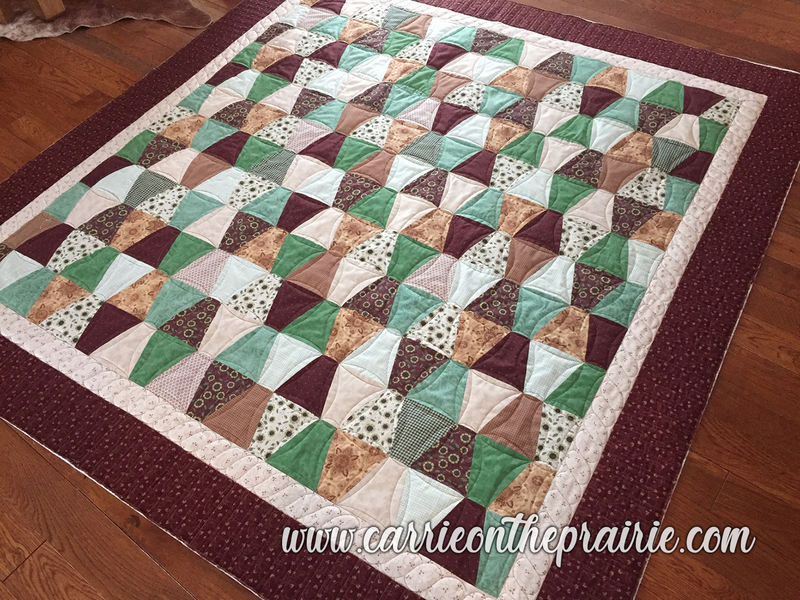 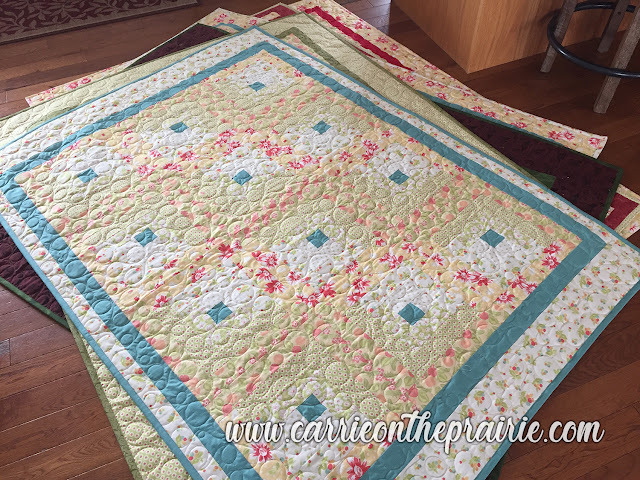 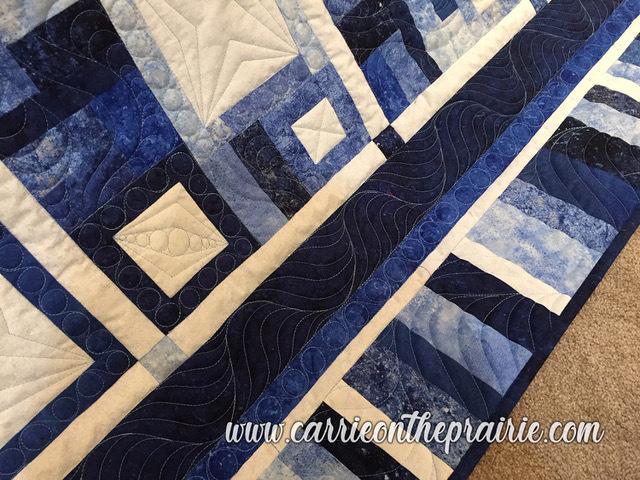 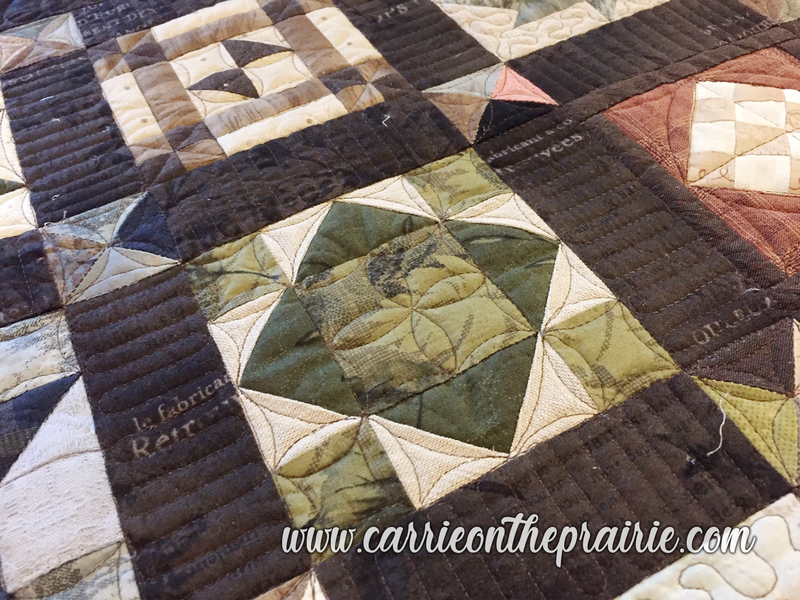 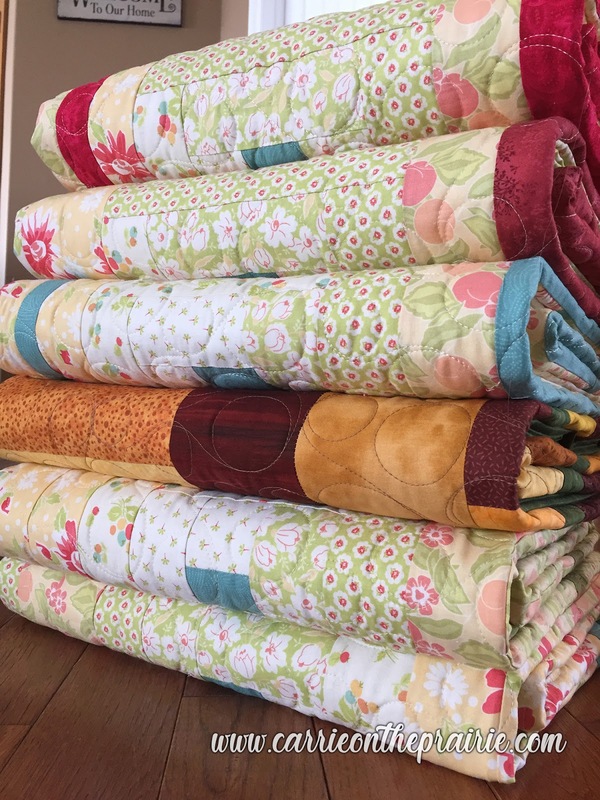 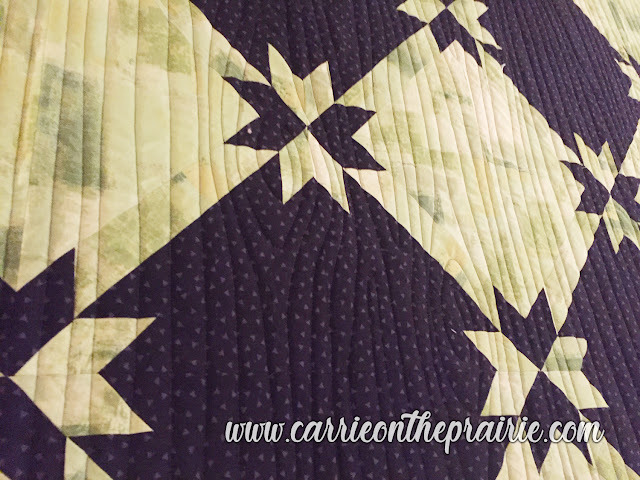 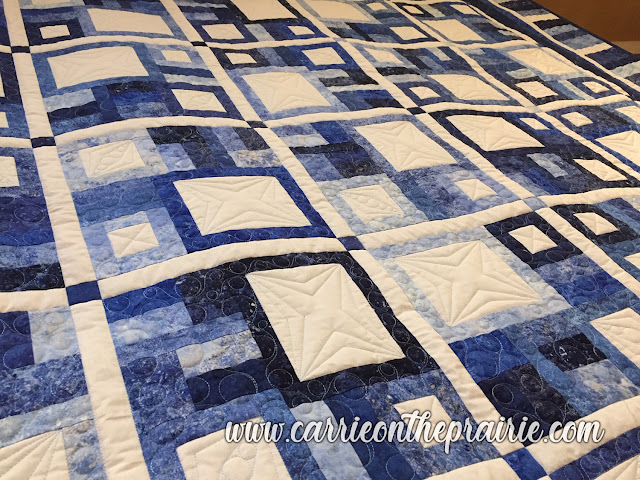 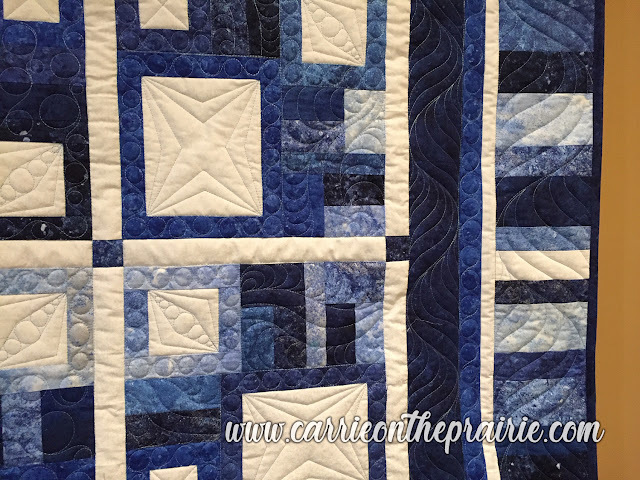 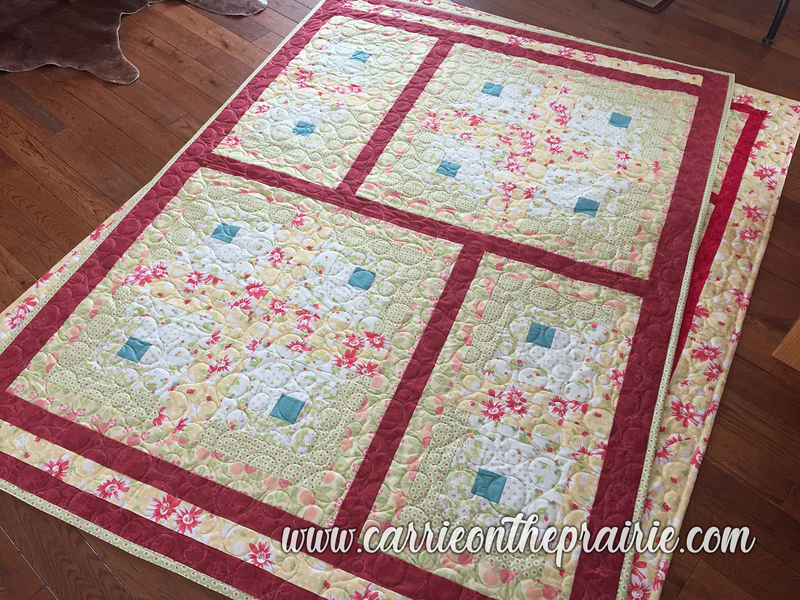 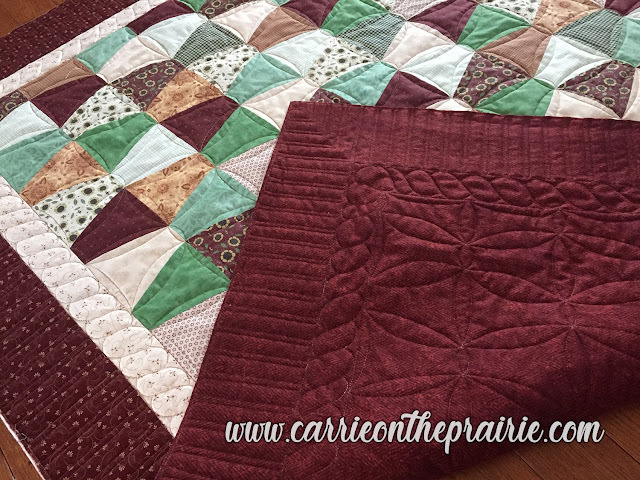 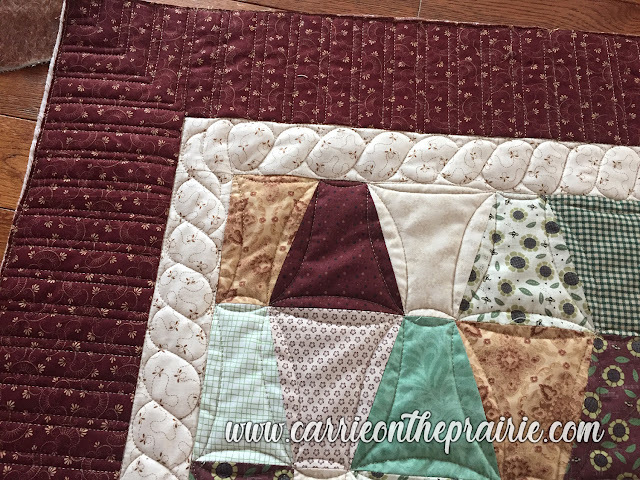 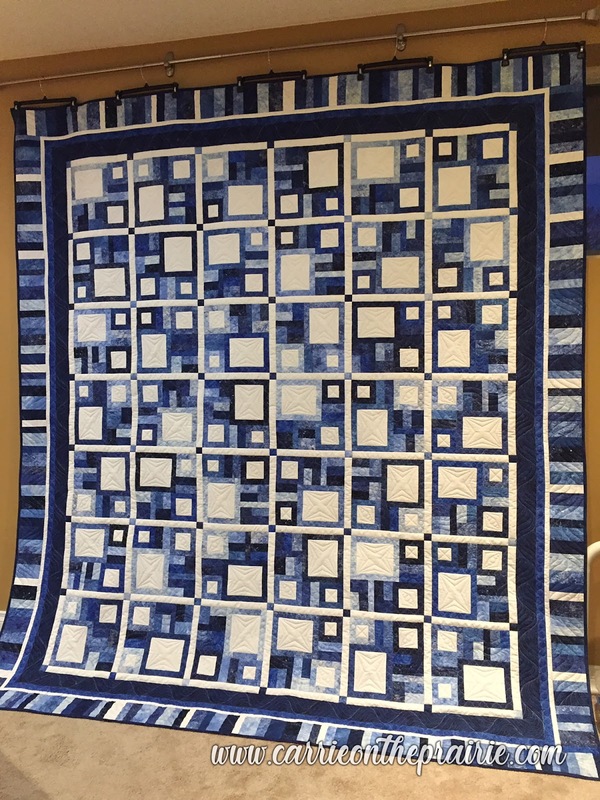 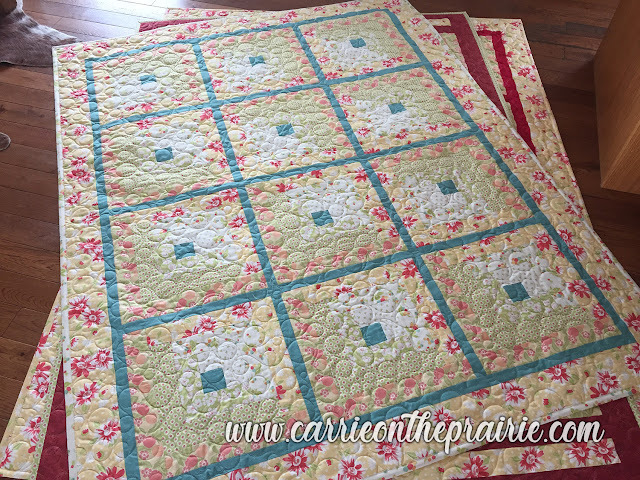 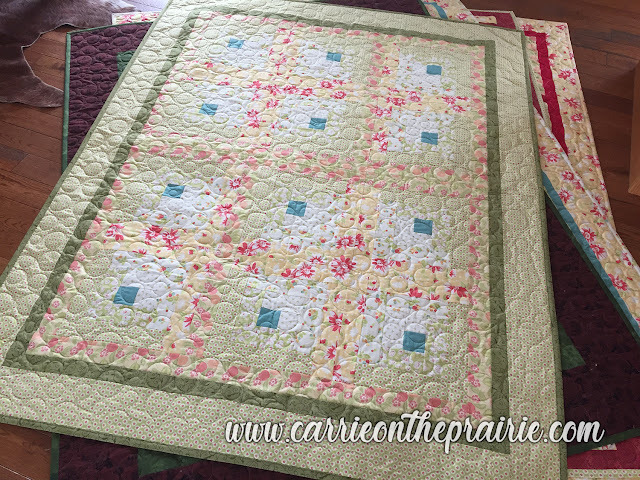 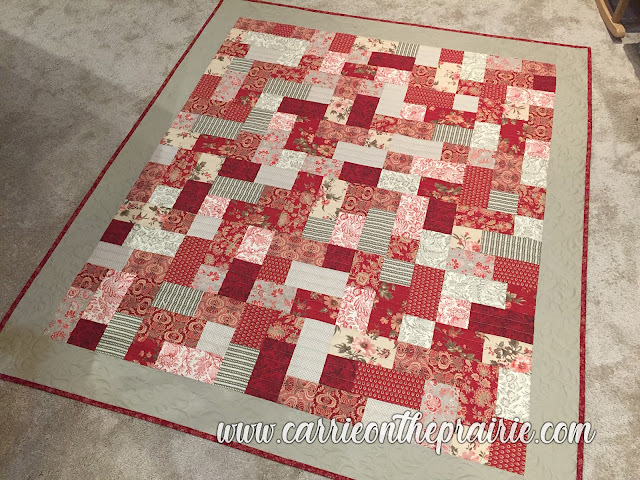 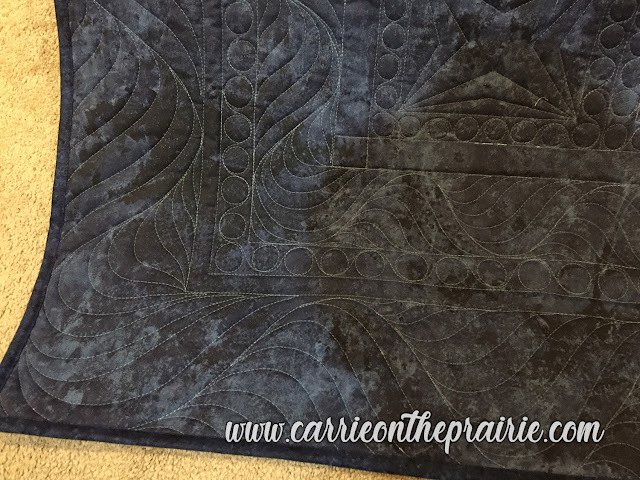 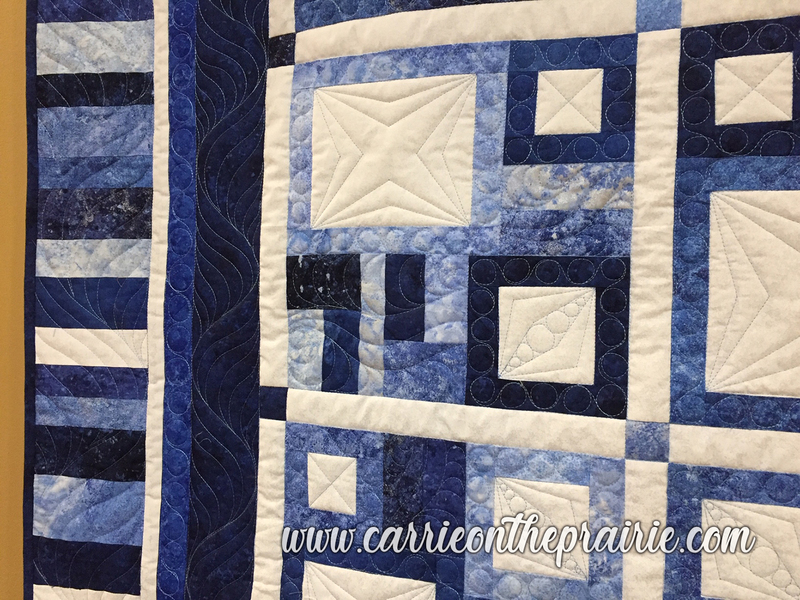 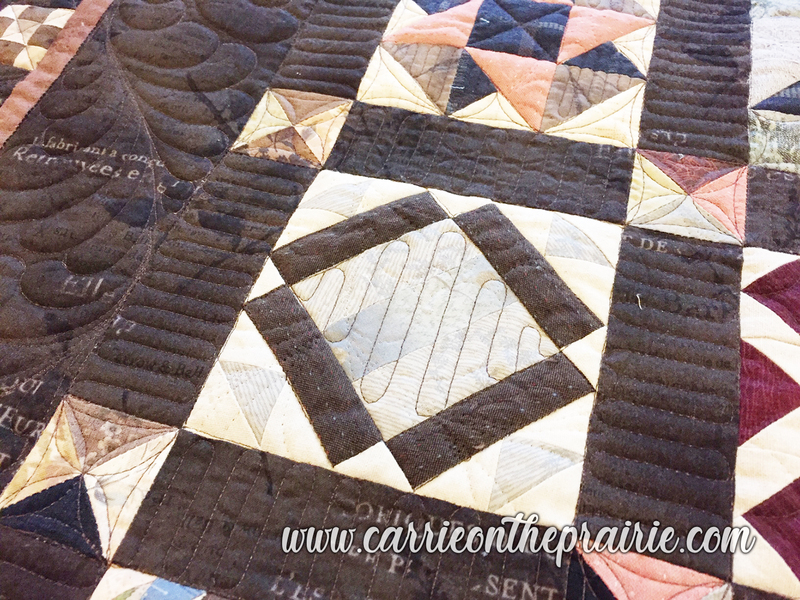 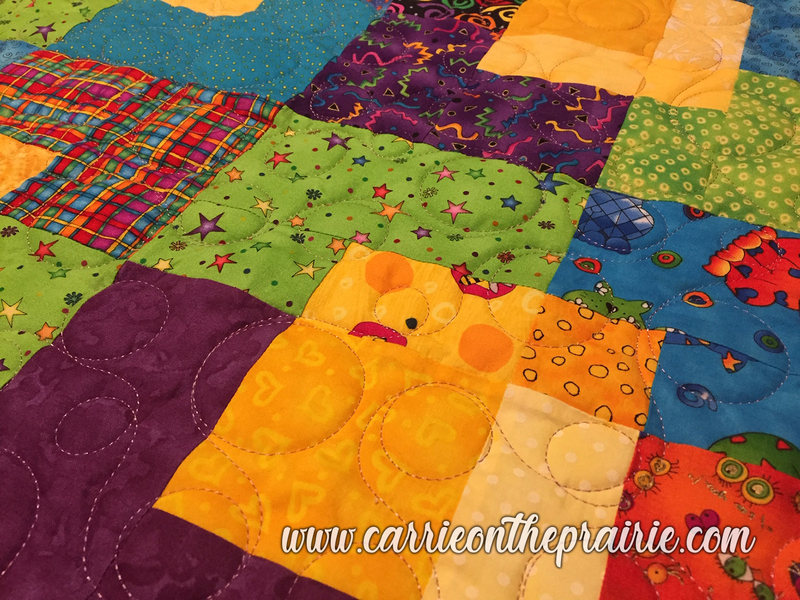 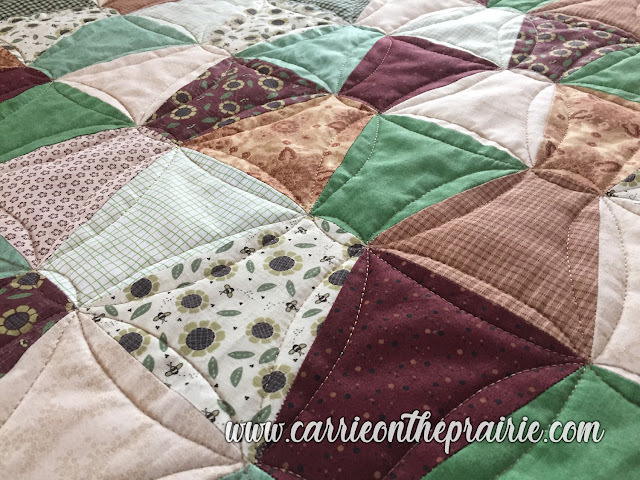 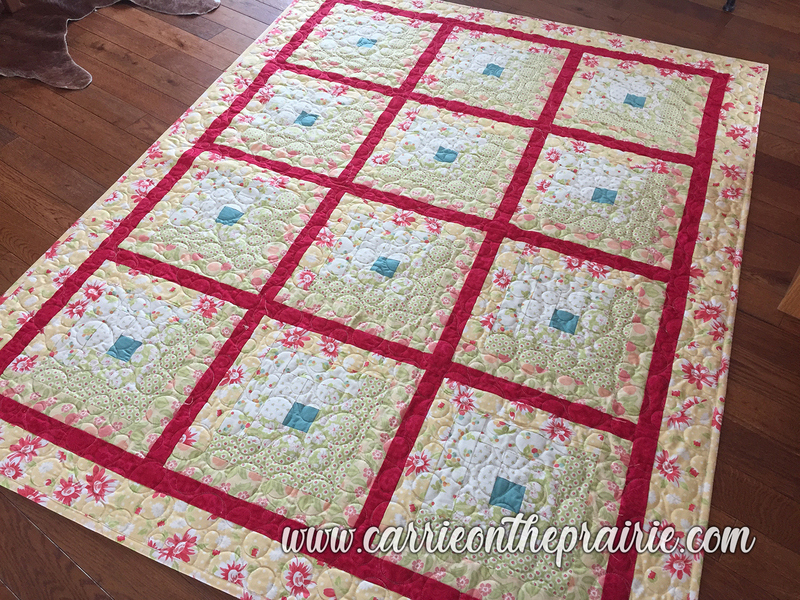 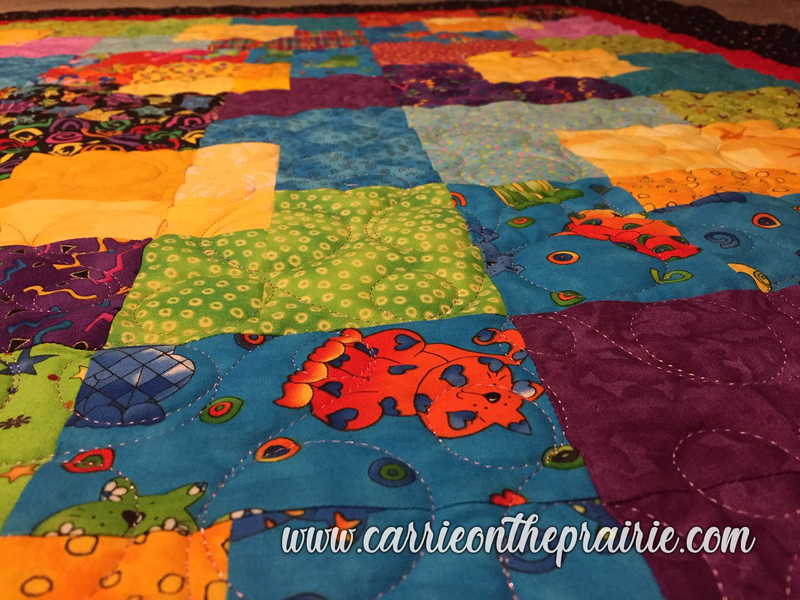 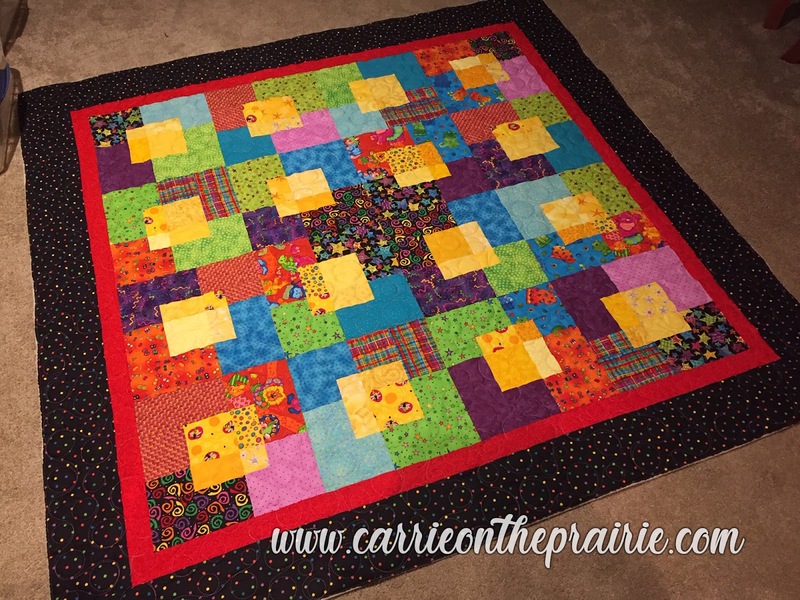 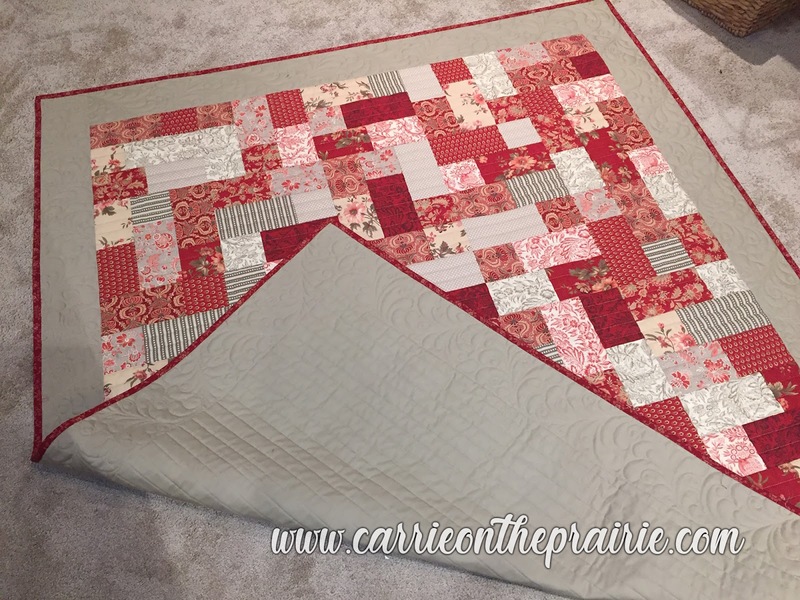 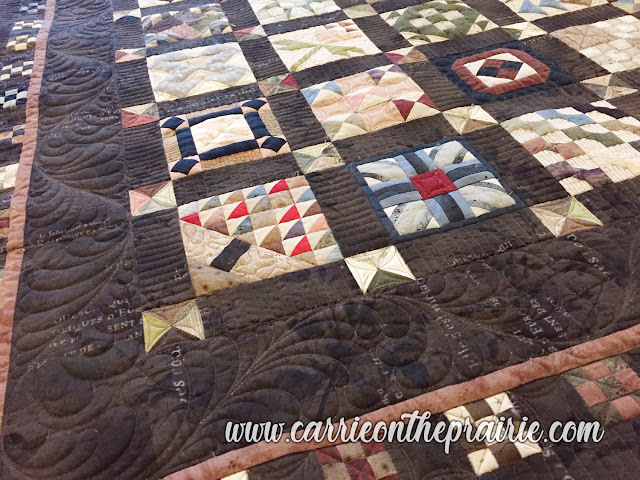 This quilt from Janet was made as a gift for a family member. 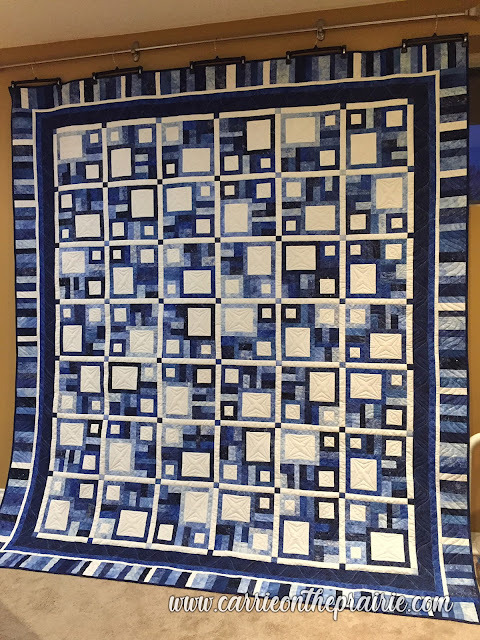 It is absolutely lovely, and will be warm with cozy flannel as the backing. 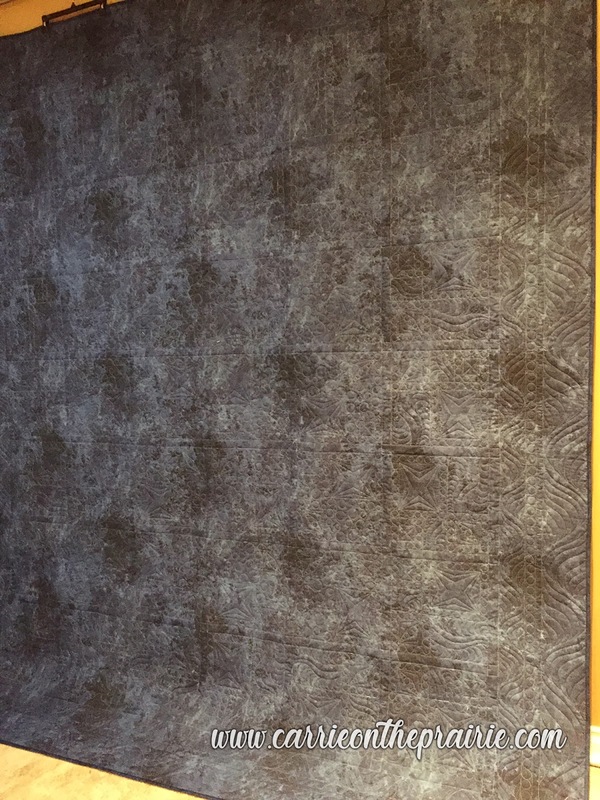 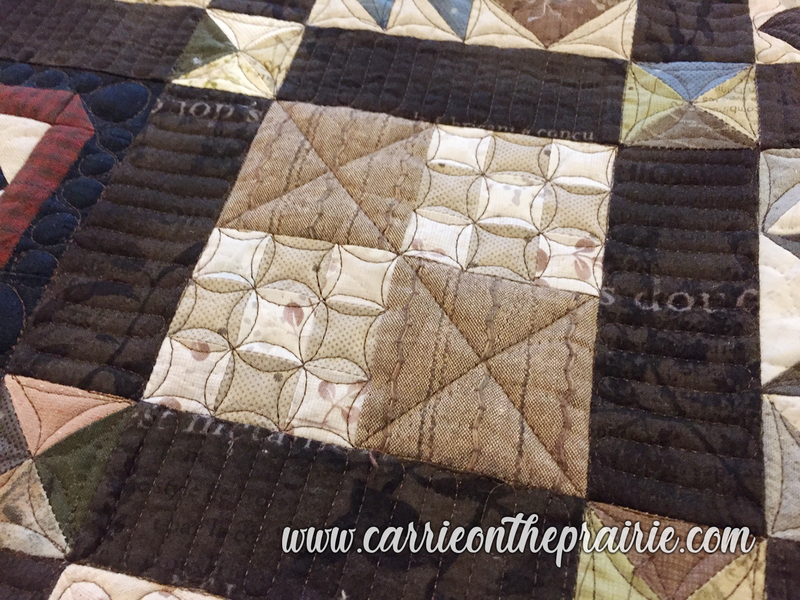 I applied an edge-to-edge quilting scheme of large-scale woodgrain. 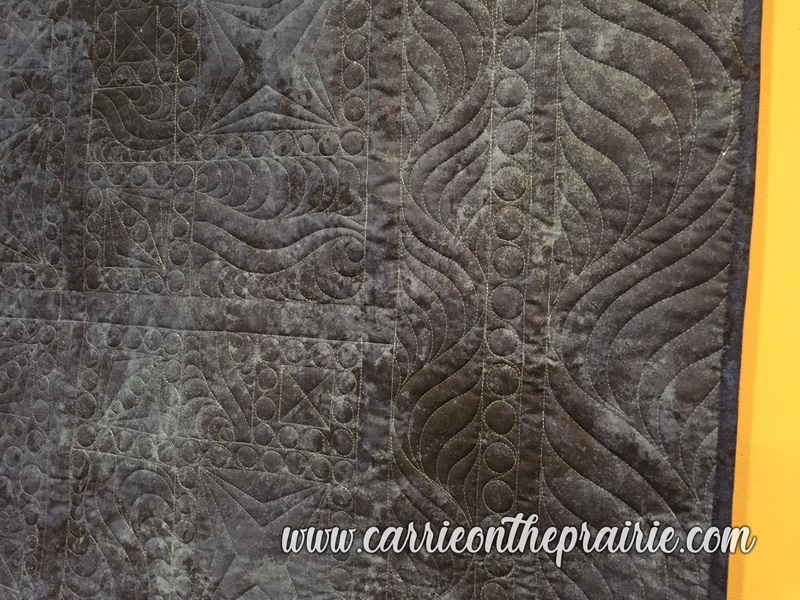 It will be serviceable for many years to come. 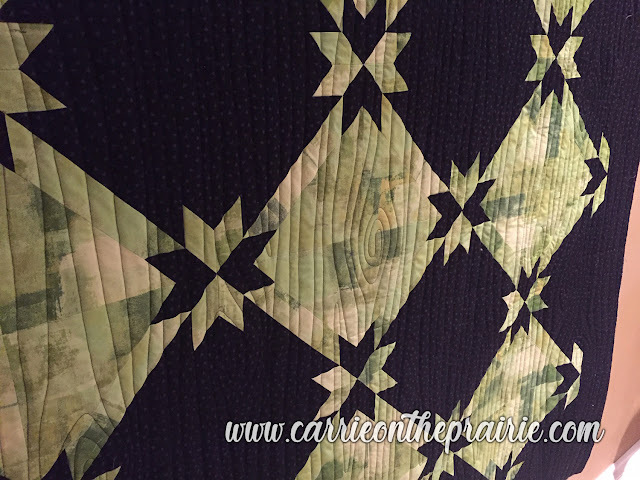 This quilt came to me from Ohio - from a cousin of mine! Jodi is a little bit distant family, but we are indeed related! We are second cousins, once removed. 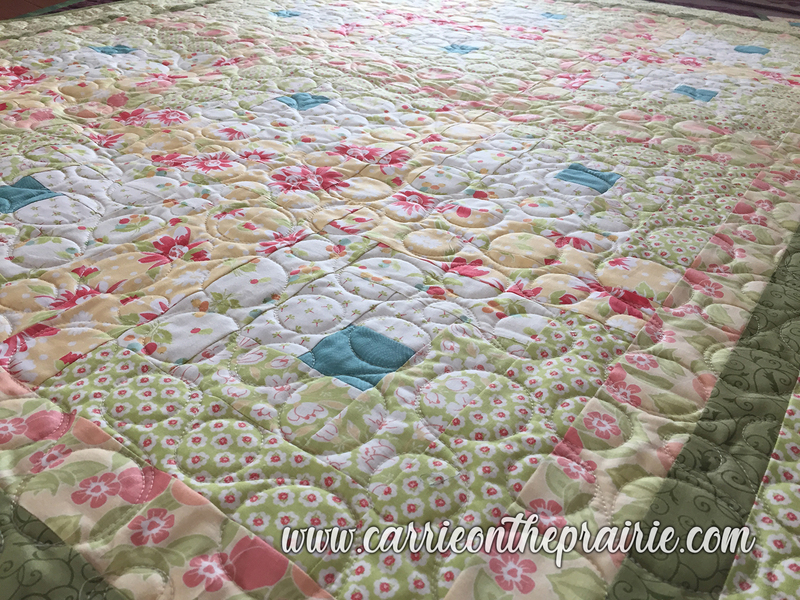 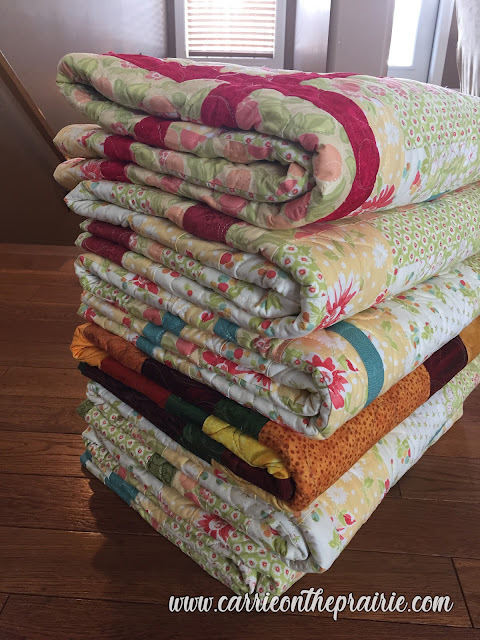 And even if we weren't blood relation, we'd be in the family of quilters! 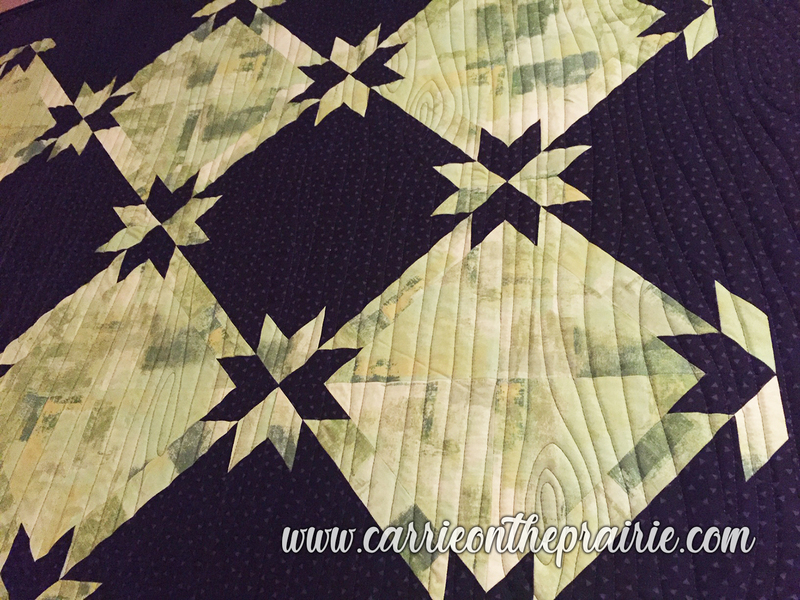 A master quilter, this top was perfectly pieced. The blue hues had me in mind of the sky and the sea. 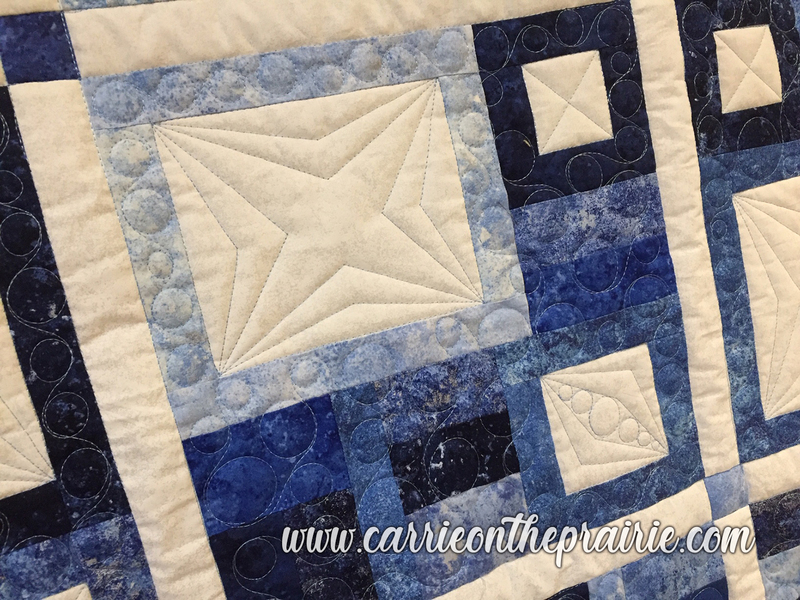 So I quilted stars and waves throughout this piece. 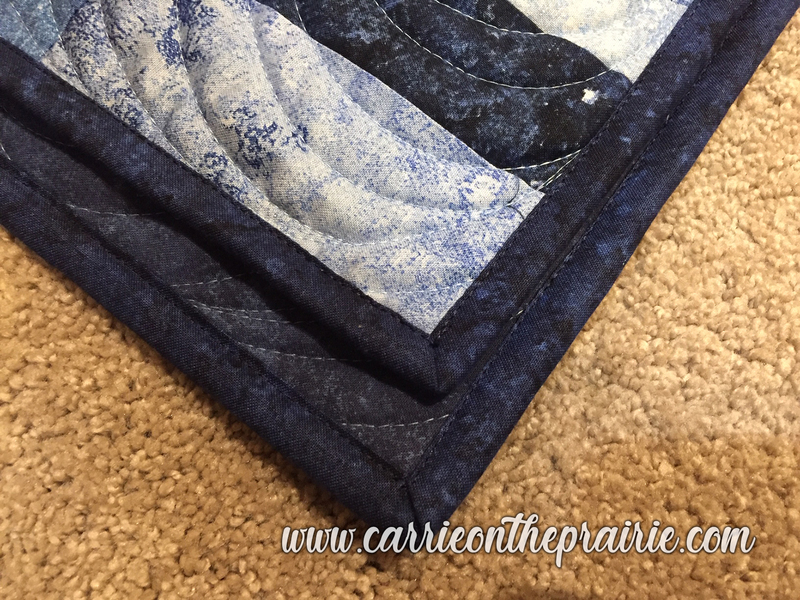 I also got to apply binding to it - which I LOVE to do! 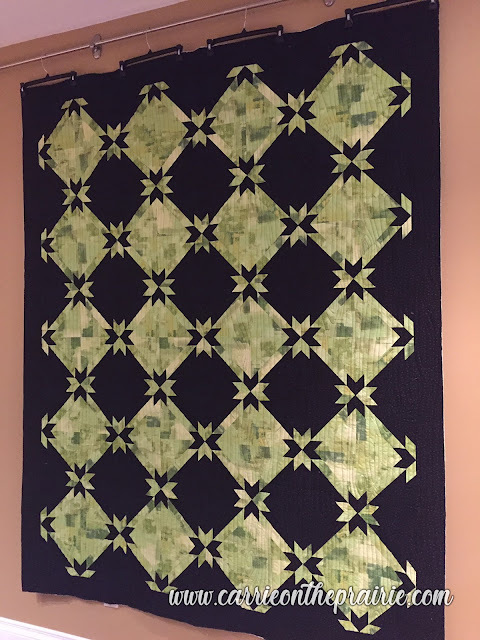 All finished up, and on its way back to Ohio!